These scans were donated by "The Swiss Collectors." 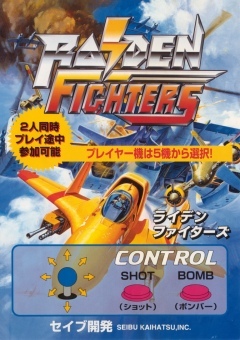 Raiden Fighters Japanese Instructions: Player Controls. 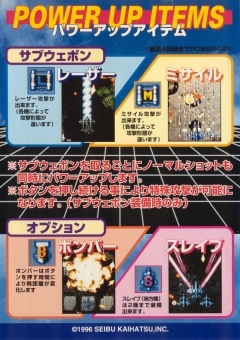 Raiden Fighters Japanese Instructions - Power Up Items.